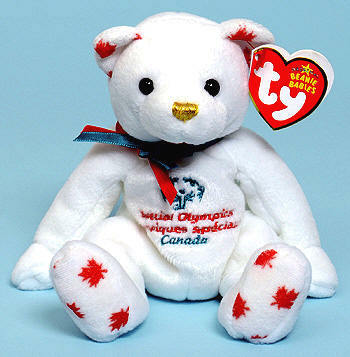 Each Special Olympics exclusive bear has a sequentially numbered sticker on the inside right of the Ty swing tag. The numbered sticker indicates this is a limited edition of 333. 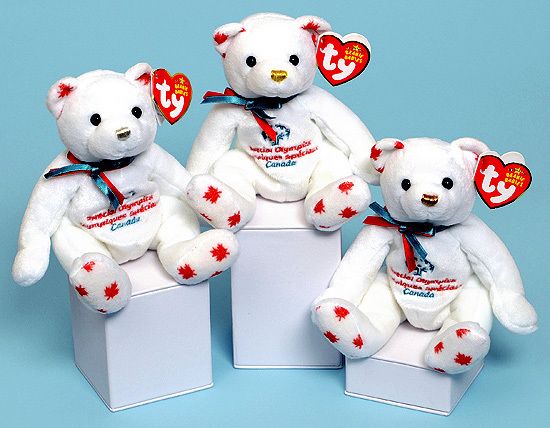 Each bear also came with a chain and dog tag that has "Collector's Edition, Special Olympics, Canada, Limited to 1000" printed on it. The three dog tags we received with our set are all gold colored. It logically follows there were two additional sets of 333 bears, one set with silver color dog tags and the other set with bronze color dog tags. We are still attempting to confirm the information about the dog tags. There are three different bears in each numbered set. They all have the same style numbers. 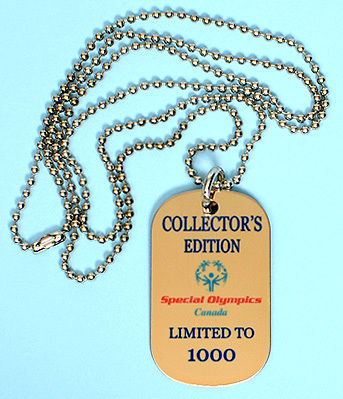 In addition to the Special Olympics limited edition set of 1000, there was also a Special Olympics "Festival" limited edition set of 500 and a Canada exclusive set.